Our teaching method is based on the most modern techniques of teaching Italian as a second language. The student will develop a practical capacity for understanding, learning and communication.Our method uses linguistic practice aided by modern text books, multimedial material and a direct student-teacher relationship. Language classes are made up of a minimum of 4 and a maximum of 10 students, therefore creating a friendly and supportive environment in which the teacher can review the linguistic progress of each individual student. Students will be placed in language classes according to their previous knoweledge of Italian which will be assessed with an oral and written test. Assessment and evaluation of students joining Semester, Academic Year or Faculty Led Programs, will be agreed with the Study Abroad Office and the Faculty Staff. Accademia Italiana Academic Advisors will provide the Study Abroad Office with all the necessary documents ( syllabus, grade guidelines, examination tests). 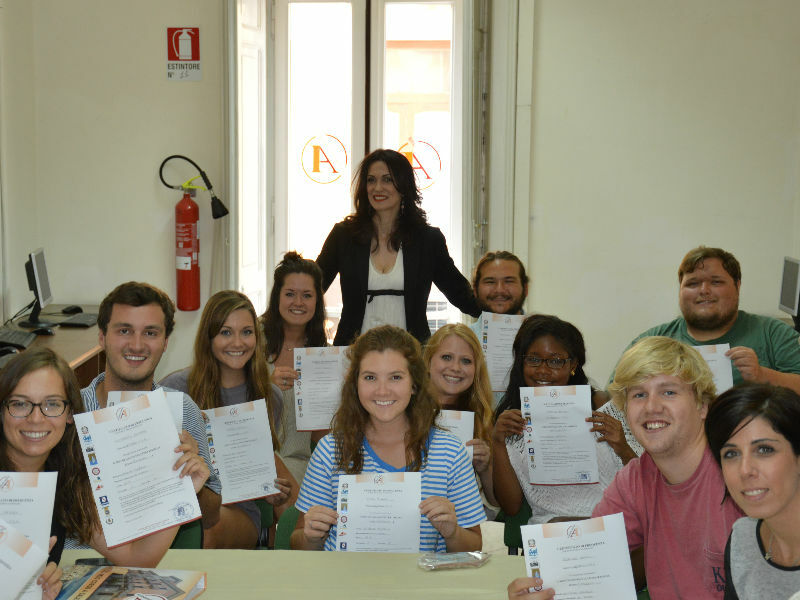 All our language instructors are highly qualified and specialized in teaching Italian as a foreign language. All have university degrees and a post degree specialization in teaching Italian as L2/FL. They have been selected for their professional qualifications, their enthusiasm and their skills. Teachers are the main point of reference for students. They regularly organize different recreational and cultural activities in order to make students practice the Italian language even outside the classroom. Content Courses are taught by Professors with MA or PHD in the related field.